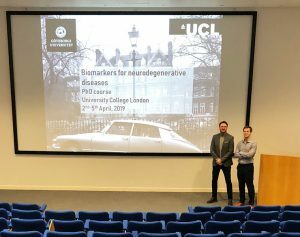 The second edition of a PhD course on Biomarkers for neurodegenerative diseases took place on 2-5 April at UCL in London as a collaboration with the University of Gothenburg, where it was established in 2018. 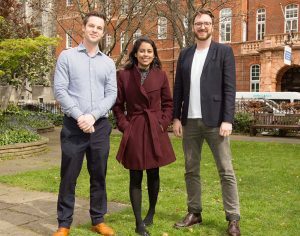 The course featured lectures and interactive group assignments on a range of topics covering biomarkers in blood and cerebrospinal fluid, as well as PET and MRI-imaging of neurodegeneration and the use of biomarkers in clinical trials. The highly international group of over 50 PhD students who participated in the course thoroughly appreciated both its format and content, in particular the lectures and discussions led by world-leading Alzheimer-scientists such as Professor William Jagust of the University of California, Berkeley, Kerstin Heurling, Erik Portelius, Kina Höglund, Johan Gobom, Ulf Andreasson, Jorg Hanrieder, Nicholas Ashton and Professor Henrik Zetterberg from the University of Gothenburg, Dr Joana Pereira and Andrea Varrone from the Karolinska Institute in Stockholm, Professors Nick Fox, John Hardy, Jonathan Schott and Drs Tammaryn Lashley of the University College London. 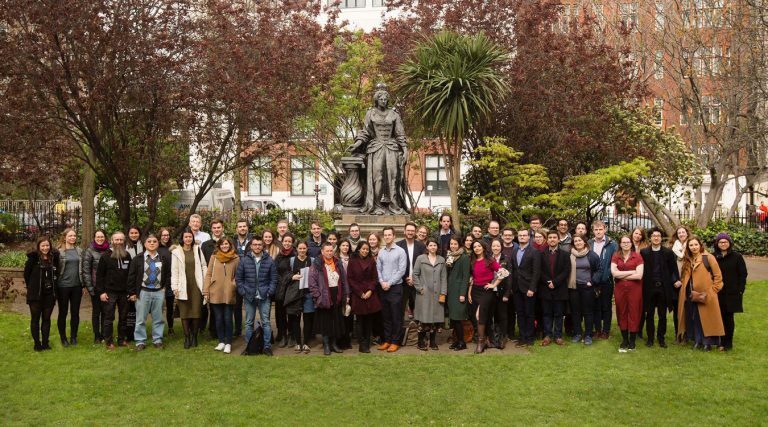 The course was organized by Ross Paterson (NIHR Academic Clinical Lecturer, UCL Institute of Neurology) in collaboration with Michael Schöll, Associate Professor at the Wallenberg Centre for Molecular and Translational Medicine and the Institute of Neuroscience and Physiology at the University of Gothenburg, and was supported by the NIHR UCLH BRC and OLINK. The organizers intend to continue offering the course on a yearly basis at the University of Gothenburg and UCL on alternative years. Dates for the 2020 course will be released in summer 2019.